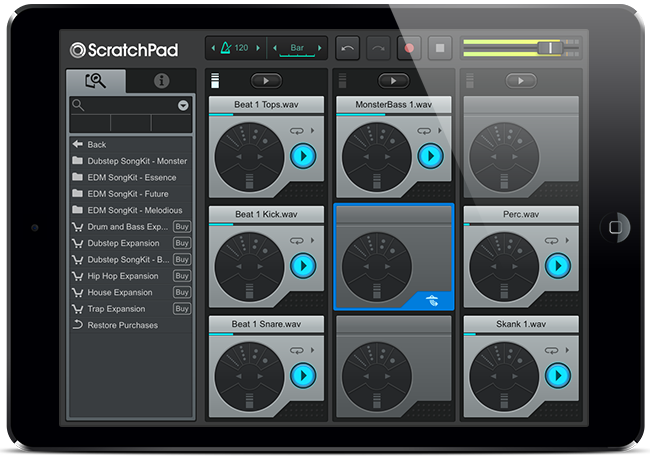 ScratchPad is an easy and fun way to play with loops on the go. It requires no prior musical experience. You’ll stay on time all the time and never lose the beat. Play up to 9 loops at the same time using the included built in loops or your own. 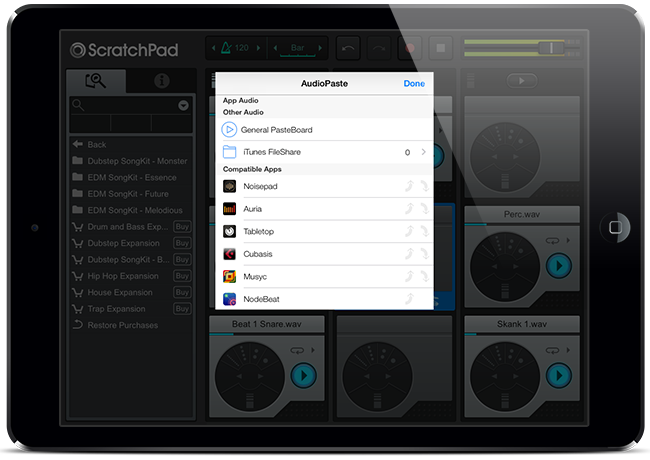 Tweak, Stutter and Scratch using the effects on each Expression Pad. 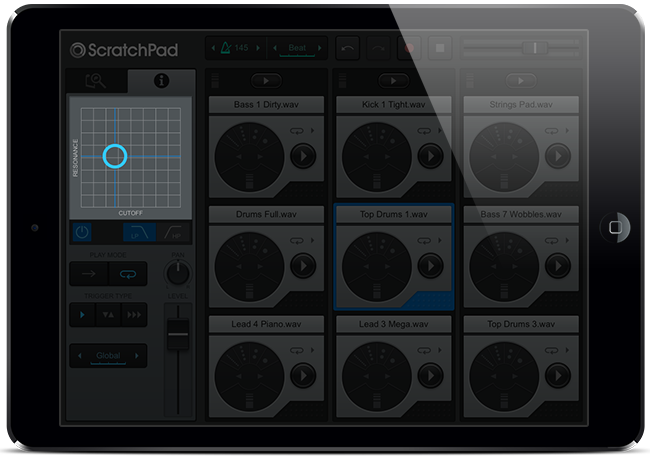 Shape your loops using the X/Y Filter Pad for even more control. Tape stop any loop or even an entire column. 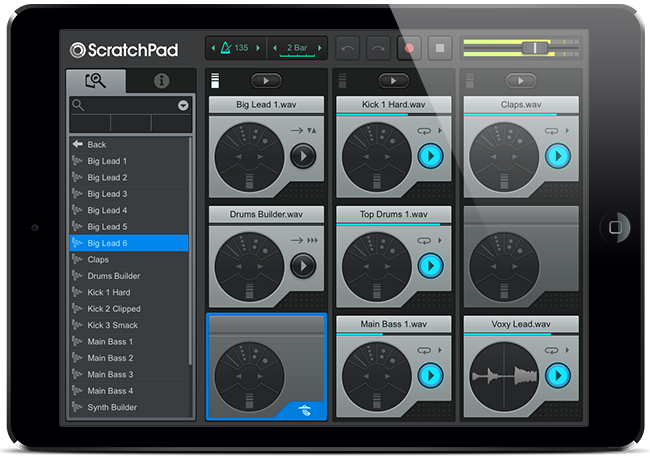 Simply move your finger downwards on each expression pad and your audio loops will come to a halt just like a real turntable. 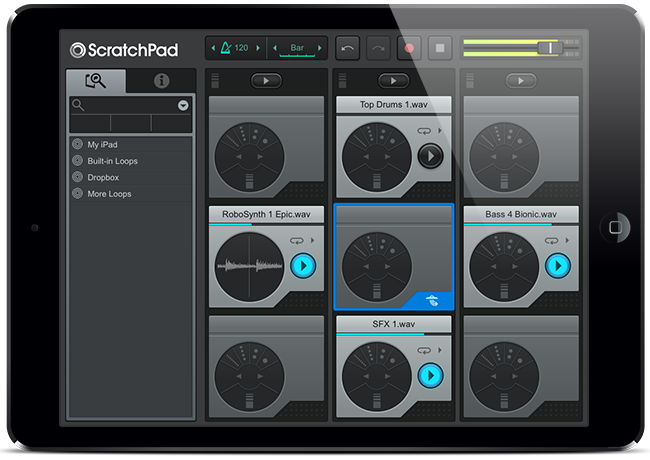 Move your finger along the top of expression pad for 4 different stutter speeds to tweak and glitch your tracks. Tracks stay in time all the time so you never lose your spot in a loop. Slide your fingers from left to right for scratch effects. 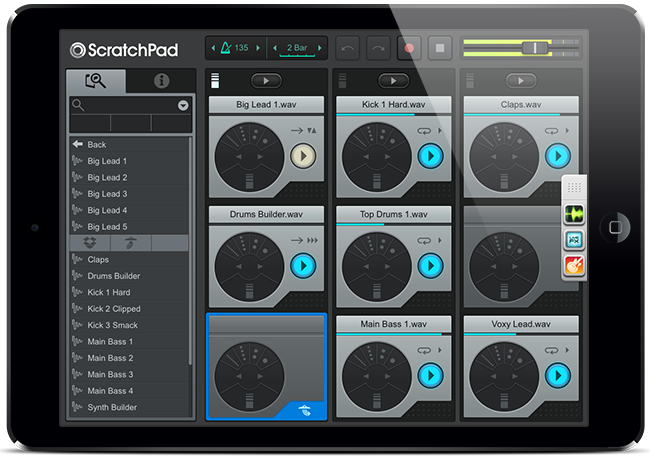 The scratch effect changes in sound the faster and slower you move your fingers across the expression pad. 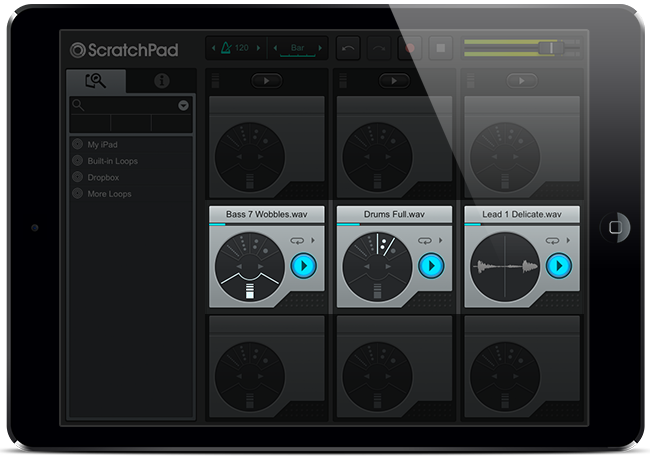 Manipulate your tracks on the fly using the XY Filter Pad using the two different filter types, Low Pass and High Pass. Up & down adjusts resonance, left & right adjusts cutoff. 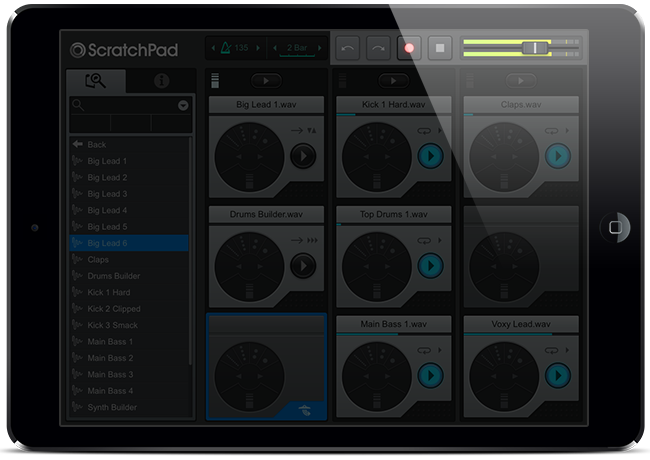 Preview, Drag, Drop, and Replace ScratchPad's loops in the middle of your performance with ease, or import your own loops using Dropbox. 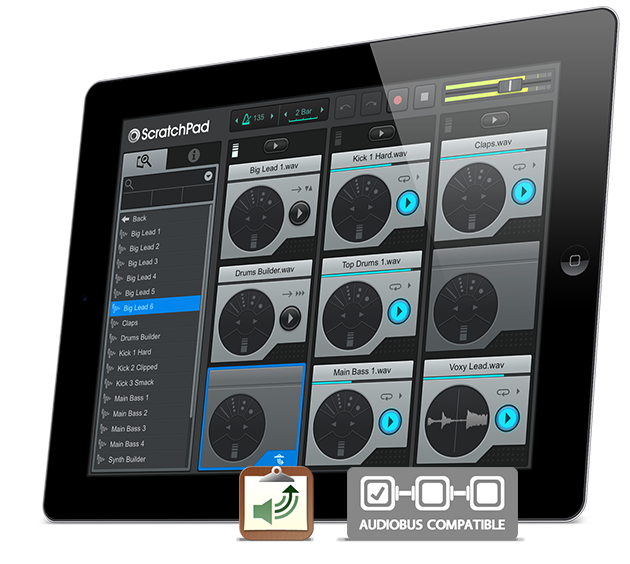 Record your entire performance to an audio file and show it to your friends and fans. Once recorded, just play it from the browser or export it to Dropbox.